Google “remodeling podcast,” or some iteration of that, and you’ll soon come to the conclusion that your options are either too many, too few, too disorganized, or too irrelevant. The internet is great, but it’s also unruly. This is our attempt to help you bypass that nonsense: five podcasts, in no particular order, you need to listen to—and another five worth a try. Why? Because whatever your attitude towards them, podcasts (the right ones) are rife with valuable bits, and sometimes bundles, of actionable information, complete with rare access to subject-matter experts and often accompanied by a suite of other resources for you and your business. With that in mind, here’s a selection of our favorites. Host: Jared Gossett, founder/co-owner, Gossett and Co.
A show for both custom builders and remodelers, Building Optimal Radio draws on not only the experience of its host, Jared Gossett, who co-owns (with his employees) a custom home building company in Austin, Texas, but also a range of guests, whose expertise lie both within the industry and beyond. Take, for instance, Karine Woodman, who appeared in an episode titled “Bookkeeping Best Practices” in early April. She’s the founder of 24 Hour Bookkeeper, a company that specializes in construction accounting and systems integration. In a half-hour conversation with Gossett, Woodman covers various QuickBooks variations; the benefits of purchase orders in project management; how to properly manage a client’s funds during a construction project and how you can integrate CoConstruct and Buildertrend into QuickBooks. Something particularly unique (and super helpful) is that with every episode, Gossett includes a breakdown of what topics are talked about during that episode, and when. So, if you only wanted to know about purchase orders in project management, you can see that discussion takes place between the 8:35 and 11:50 marks. It’s a huge time-saver when you don’t have a spare 30 minutes but still want to learn something. Protractor Podcast, hosted by Martin Holsinger, provides a platform for every day contractors to both tell their stories and impart their lessons. 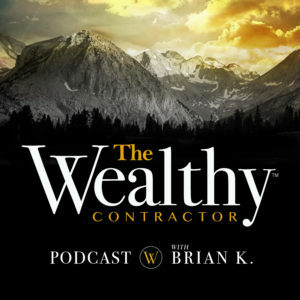 The aim of Brian Kaskavalciyan’s The Wealthy Contractor podcast is to make your home improvement business more money, and if the name didn’t give it away, the episodes will. Each one features an industry insider with a very specific message to impart, most always involving ways to help your business earn more money. In episode 43, we hear from Mark Olsen, who talks about how he brought his roofing and exteriors business from $500,000 underwater to out of debt and consistently selling with a 40 percent profit margin in only 12 months; in episode 37, Window Nation co-owner Aaron Magden goes into detail about his scalable selling system, explaining how to avoid the pitfalls that come along with growing a sales team; and in episode 32, Greg Joyce from Schuler Service, which provides plumbing and electrical services, talks about what it takes to increase your business’ profitability by 900 percent (not a typo) in four years (also not a typo). Those are just a few examples, but they give you an idea of Kaskavalciyan’s angle. He’s not interested in just chatting (i.e., podcasting’s most pervasive problem) as much as he is figuring out what it is his guests have to offer his listeners. 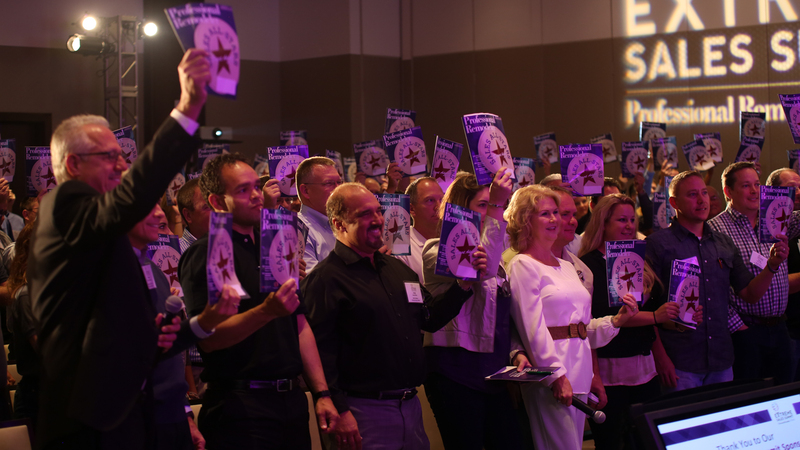 Former marine, contractor, and creator of Contractor Sales Academy, Tom Reber challenges his audience to change not only their business, but their mindsets. It should come as no surprise that PowerTips Unscripted made our list of podcasts to listen to, as its hosted by two well-known industry leaders: Victoria Downing, president and chief inspiration officer for Remodelers Advantage (RA), and Mark Harari, RA’s vice president and chief marketing officer. The podcast’s birth is an interesting story, as it evolved from RA’s broader PowerTips banner, which started as a blog before becoming a more omnichannel initiative, adding staff and guest-contributor blogs, weekly videos, emails, an annual magazine, and now the podcast. While the podcast currently has only 22 episodes available—the most recent going live in late June—its hosts have, thus far, been able to bring on a range of compelling industry-insider guests to talk about not only relevant topics, like creating a culture of empowerment (check out episode 15 with GuildQuality founder and CEO Geoff Graham), but talk about them in a way that’s directly applicable to the listeners. 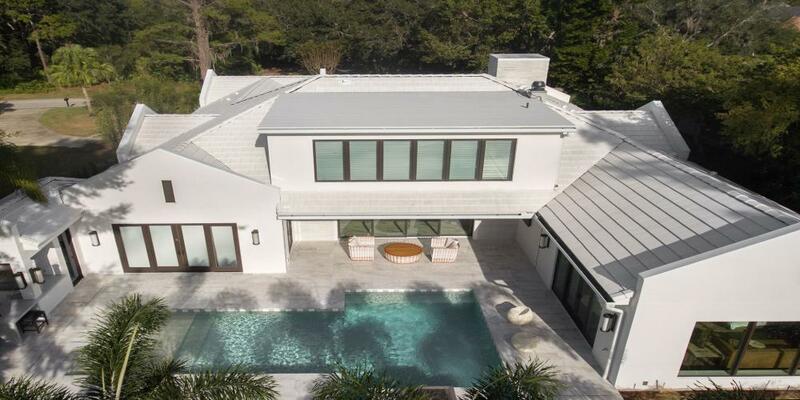 This podcast is for remodelers, by remodelers—and as an added bonus, you get a small glimpse into what it is to be a member of RA: a group that Greg Harth, owner of Harth Builders, describes on page 18 as one reason his company has seen profitable growth. Although it’s not about remodeling exactly, Ken Coleman brings together some of the biggest names in business to discuss topics from thriving in the age of overload to creating a culture of servant leadership. The episodes are arranged by subject, so navigating between shows is easy. Comprised of several short-ish episodes (about 15-25 minutes, usually), Remodeling Mastery features renowned industry thought leader, author, speaker, and consultant Mark Richardson as he draws from decades of remodeling experience to make sense out of some of the most complicated issues contractors face today. In his show, which has been ongoing for nearly two years, Richardson covers a myriad of topics including the effects of technology and other disruptors on business, growth management, and the benefits of becoming an authority versus an expert. What’s most compelling about Richardson’s show (apart from his unparalleled experience and credentials) is the way he organizes his thoughts. 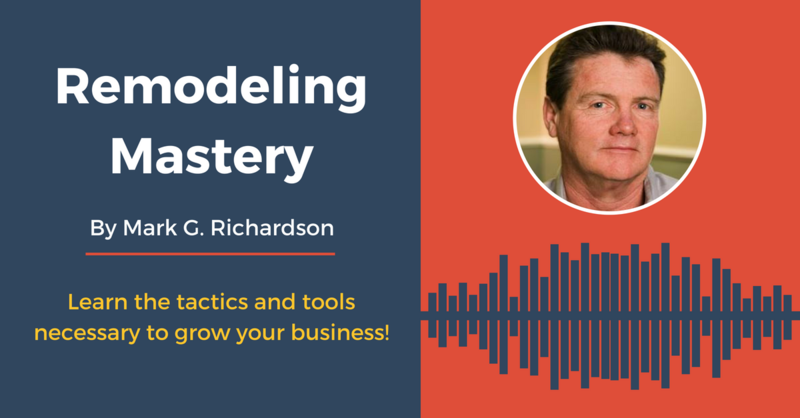 Richardson segments his insight and advice into clear, digestible tips that inspire listeners to take action. Mark Richardson is also a columnist for Professional Remodeler. A “Best of iTunes” podcast, Entrepreneurs on Fire host John Lee Dumas uses the platform to speak with some of the most renowned names in everything from SEO to how you can use a virtual assistant to scale your business. The Tim Faller Show, hosted by (that’s right) Tim Faller and Steve Wheeler (both with RA) has only been live since March of this year, but in asking remodelers what podcasts they prefer, none was more heavily recommended that this one. That could be because, unlike most other remodeling podcasts, this one focuses on the production side of the business. In the 12 episodes that have aired (as of the writing of this article), the duo have brought on impressive names in remodeling (like 25-year industry veteran Teri McDermott of CRD Design Build and Pro Remodeler’s own Executive Editor, Sal Alfano, an accomplished craftsman in his own right). The show covers a variety of production-side topics, including how to effectively work with project managers and how to implement a lead carpenter system, among others. Faller and Wheeler have a strong rapport which results in 30-ish minute episodes that are as digestible as they are informative. Awesome! Will def. check these out. Give a listen to "The Versatex Way" podcast on Soundcloud. Not a bad one to check out!